The bros welcome Yue Fei back to camp. Meanwhile, government officials discuss the seriousness of Jin’s threat to Song. The Emperor waddles in, chasing a parrot. He doesn’t even realize he’s not wearing any socks. Loyal Official Li tries to inform the Emperor of the threat that Jin poses to Song. Official Cai dismisses his worries. 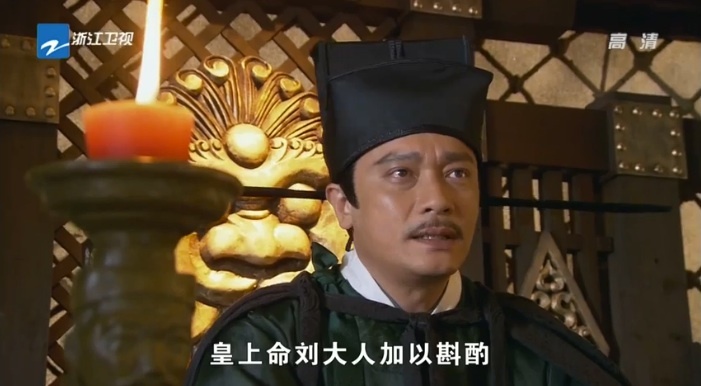 As the government officials discuss the sad state of affairs (har har), main villain Qin Hui appears. He is introduced as a talented, intelligent, and ambitious young man. 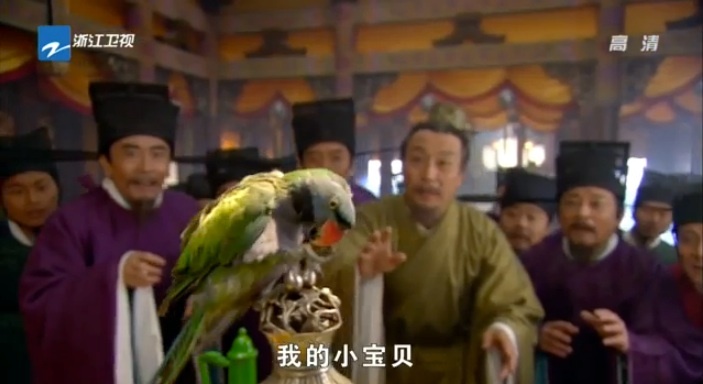 Official Wang is immediately taken by Qin Hui, and suggests that Qin Hui marries his daughter. Is it just me or do the marriages happen a little quickly in this drama? Qin Hui looks a little hesitant at first, but is more enthusiastic once he sees Miss Wang. She’s intellectually curious and ambitious, quite a match for Qin Hui. Okay, I’ll stop complaining about the shotgun weddings if all these arranged marriages turn out so perfectly. If only all other dramas had such smart, far-seeing elders. Qin Hui visits General Liu Ge. Immediately, he and Yue Fei have animosity right off the bat. 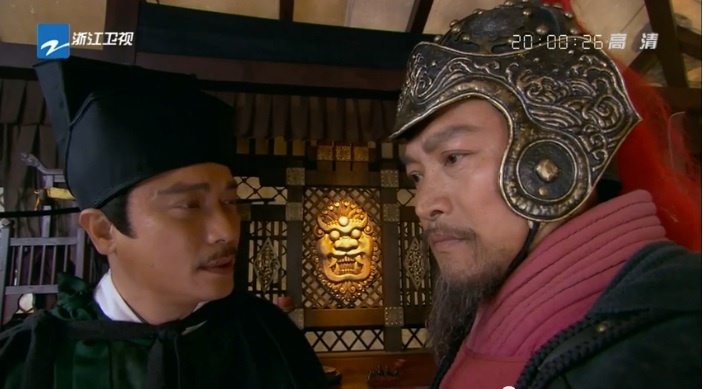 Qin Hui tells Liu Ge that the Emperor is sending Liu Ge and his troops to negotiate with Jin troops. Liu Ge is extremely worried, since he’s being sent on a diplomatic mission. 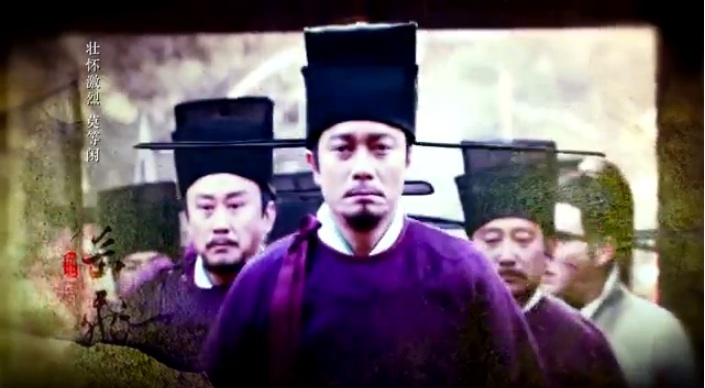 However, as a soldier with no training in persuasion or politics, Liu Ge knows that his trip will mean death. He gives his followers the option of accompanying him to the Jin camp. 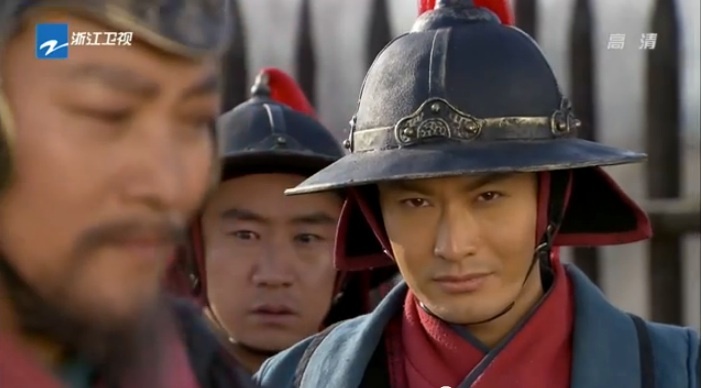 When Yue Fei and the rest of the group promise to follow the general to death, Liu Ge is very touched. They enter camp, and Yue Fei flashes back to his training days when he sees some Jin soldiers wrestling. Damn, Huang Xiao Ming is well built. Sigh, you can see why army generals aren’t fit to be diplomats when Liu Ge and the Jin general (Tuo Ba Ye Wu) take offense at each other’s greetings. Both are very stubborn and prideful, and Liu Ge is intent to end negotiations with his death before he gives in to Jin. The talk ends in fighting. I’m pretty happy with the pace of this series. Hopefully it doesn’t drag towards the middle. We’ve got a long way to go. 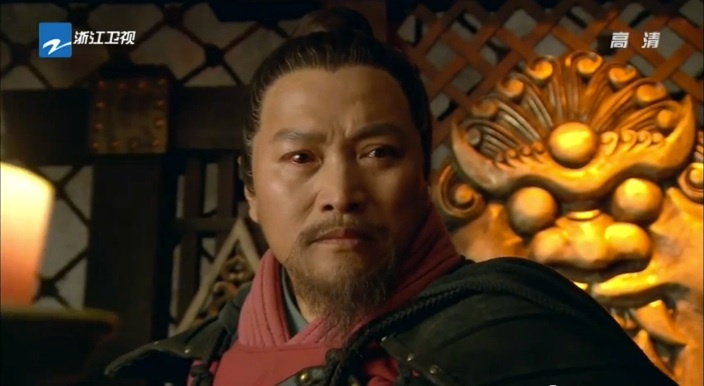 I loved Yue Fei’s goodbye scene with his family. It’s such an important scene, and I’m so happy that it was done well. His goodbye with his daughter really struck an emotional chord with me. I could really relate to those emotions. And I think it just reminds me of Zhuge Liang leaving his humble home to help fulfill Liu Bei’s dreams. Same kind of dream, same kind of love for people and country. I’m pretty excited to see how Qin Hui turns out as a villain. From what I can tell right now, he is very ambitious, but not annoyingly obsequious in order to get what he wants. The drama has established that he’s got brains and the hunger for power to succeed. In contrast, Yue Fei is still more macho and less brains (as in scheming, because making poetry will get you nowhere…usually) in comparison to Qin Hui. And to think that we could just make this drama a whole lot shorter just by having Yue Fei beat Qin Hui to death right now…. 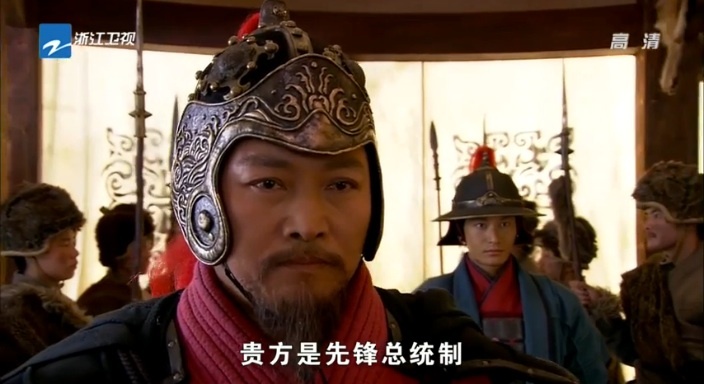 This entry was posted in Chinese Dramas, Drama Recaps/Reviews, History and tagged 精忠岳飞, Episode 5, Huang Xiao Ming, Jing Zhong Yue Fei, Patriot Yue Fei, Recap. Bookmark the permalink.